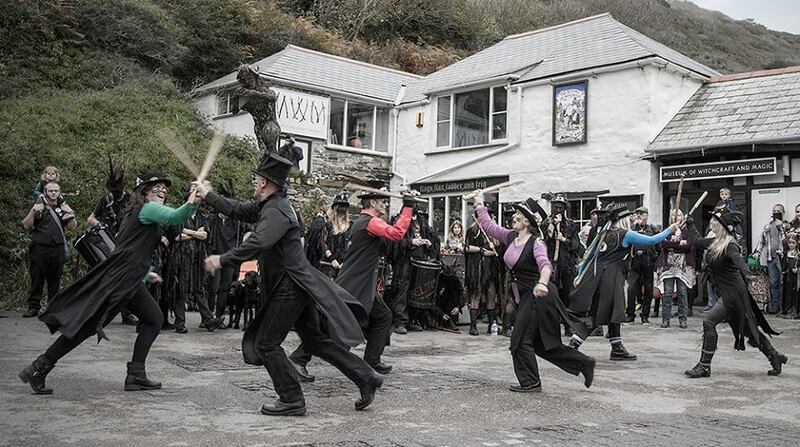 Only a few weeks to go now and all sorts of exciting things are afoot…! 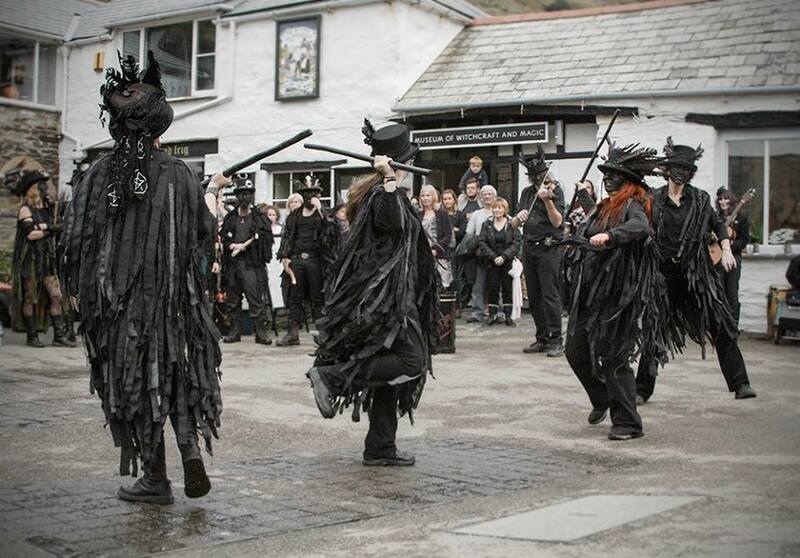 Responding to a need for more retail outlets to be available to folks after the festivities, many of the local establishments in Boscastle will be open later in the day. Also we have secured the presence of Woody’s Pizza Van who are well known locally for delicious wood-fired pizzas. They will be stationed outside the Spar shop from 5pm – 8 pm. They come highly recommended! There will be a slight delay on this option whilst the filming is uploaded to YouTube. Lastly for now, on this night of the powerful Harvest Moon I send the call out to all of goodwill and merriment. 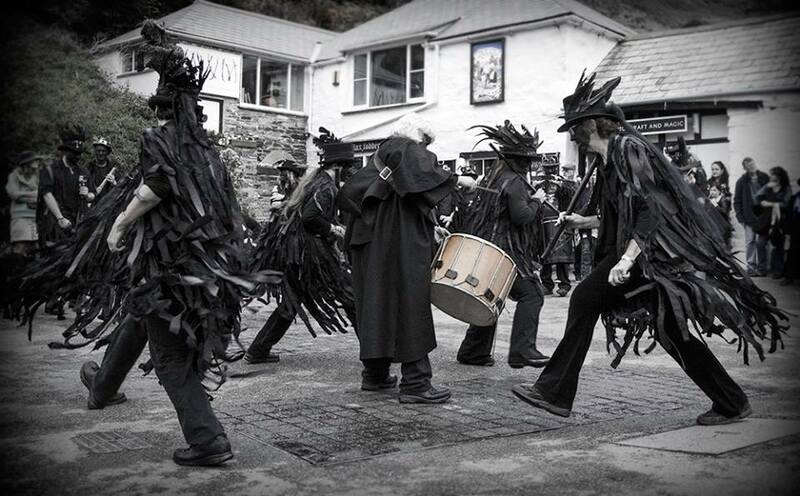 Come join with us at the All Hallows Gathering on Saturday 28th October 2017 to honour our ancestors and celebrate Summer’s end in the ancient village of Boscastle. 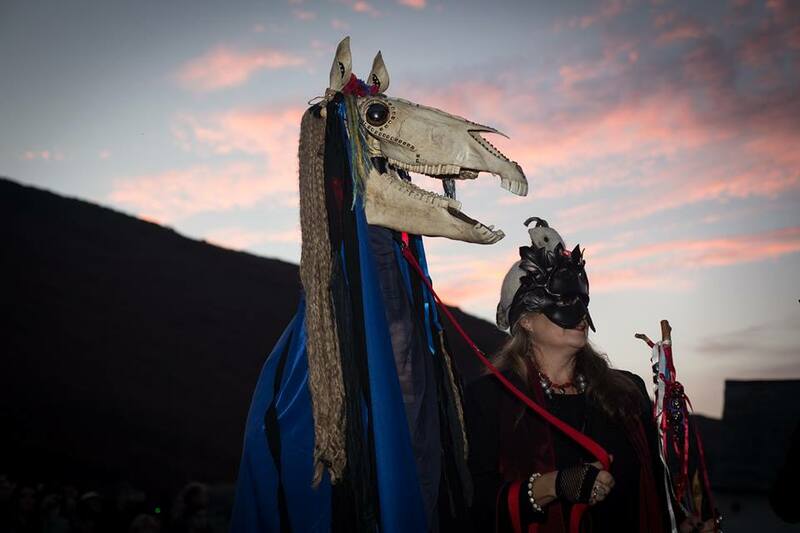 Help us a-conjure in the eldritch time of Halloween! 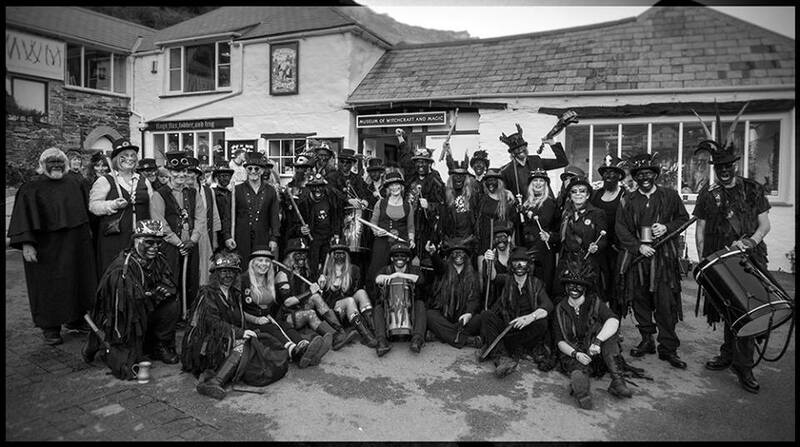 Now was the time for the whole raison d’être of the Dark Gathering – the meeting of the Welsh Mari Lwyds with Cornwall’s Penkevyll the Oss. 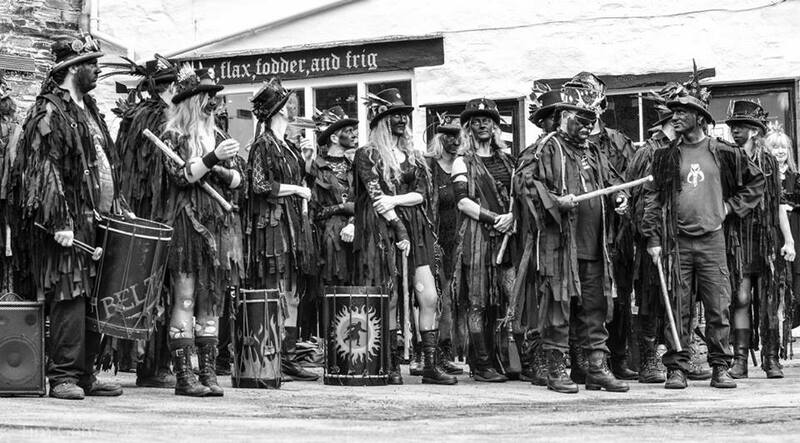 This year we were going to try to introduce the Mari Lwyds into the proceedings in a different way – we were going to have a procession. 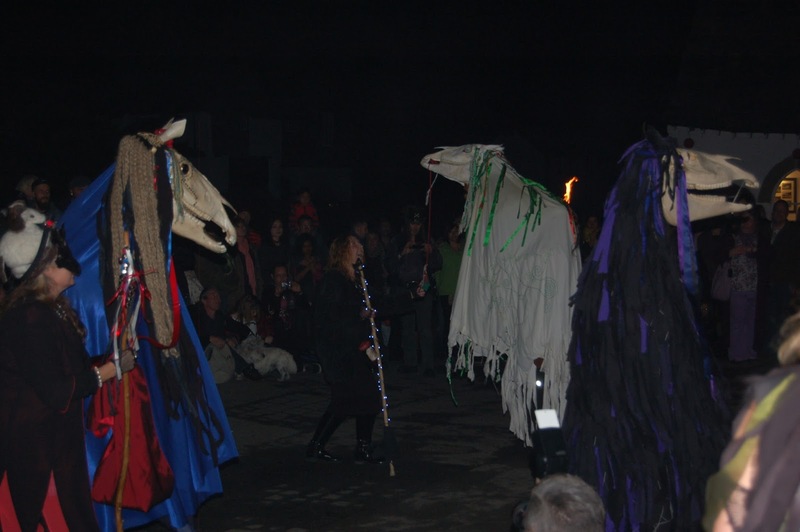 However, there was one thing that we hadn’t factored in – that this year the clocks hadn’t gone back yet – so it was still light by 5 pm, the advertised time of the Lantern Procession. 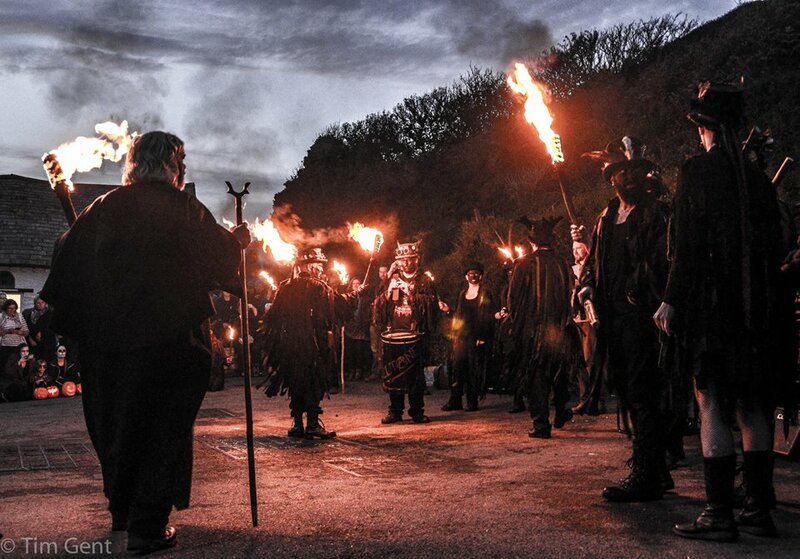 The Mari Lwyds traditionally don’t appear until at least dusk, and there was lots of debate about when to start the tribal drumming (the signal for the Procession to start) – and also when to light torches etc. You can just imagine the dialogue! 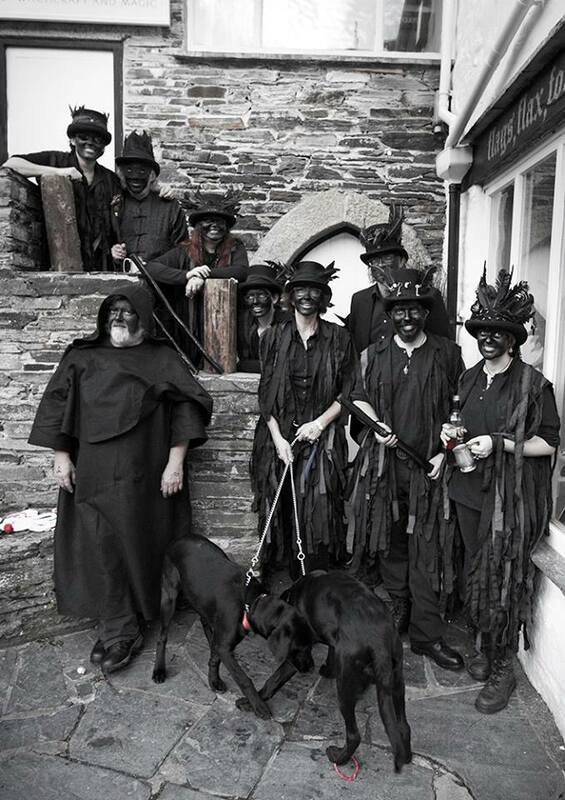 To add to the confusion there is no mobile signal in Boscastle so we couldn’t communicate with the processional group who were congregating in the car park the other end of the village – eventually we sent a runner and the Procession started. What I didn’t realise until much later is how popular the procession turned out to be. 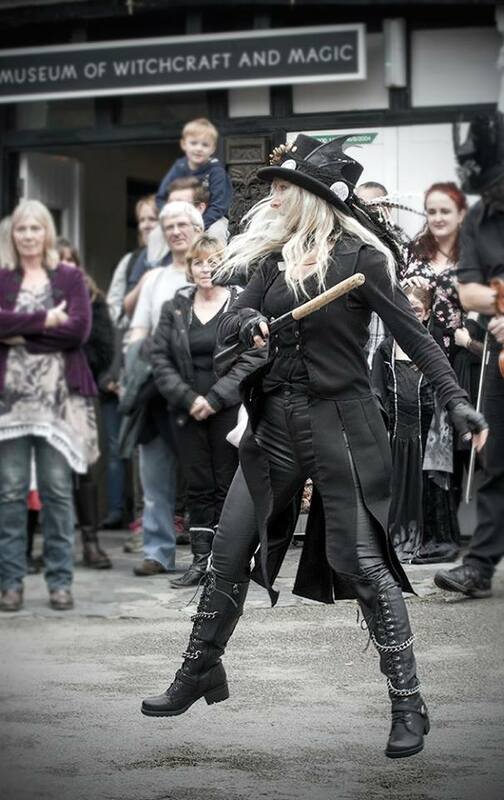 It certainly attracted hordes of people who came out especially to see the Mari Lwyds and to join in the fun. 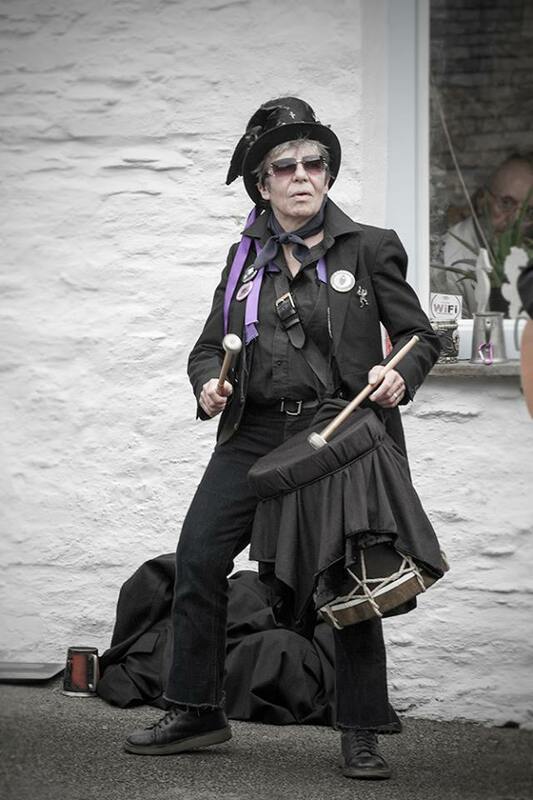 Not only did we have music in the procession but at the Museum there was a troupe of drummers drawn from all sides and the general public, lead by Dave from Beltane Border Morris, who started a tribal rhythm. 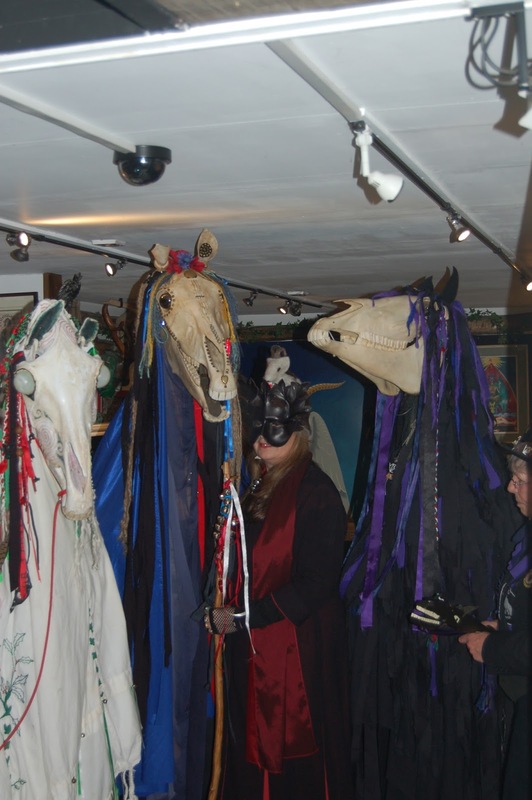 This was enough to entice Penkevyll from her temporary stable in the back of the Museum and she emerged to join her Teazers in raising the energy. This sort of ‘overlooking’ of a person can also happen to the Oss Rider – in fact, it is encouraged. You allow the spirit of the role/Oss to ‘ride you’ but you have to be aware enough of where you are going and what you are doing at the same time. 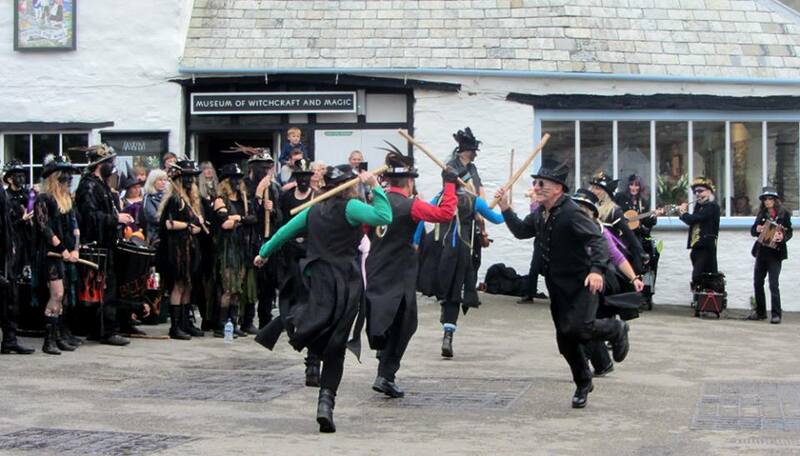 This can happen with other types of theatrical performance including dancing. 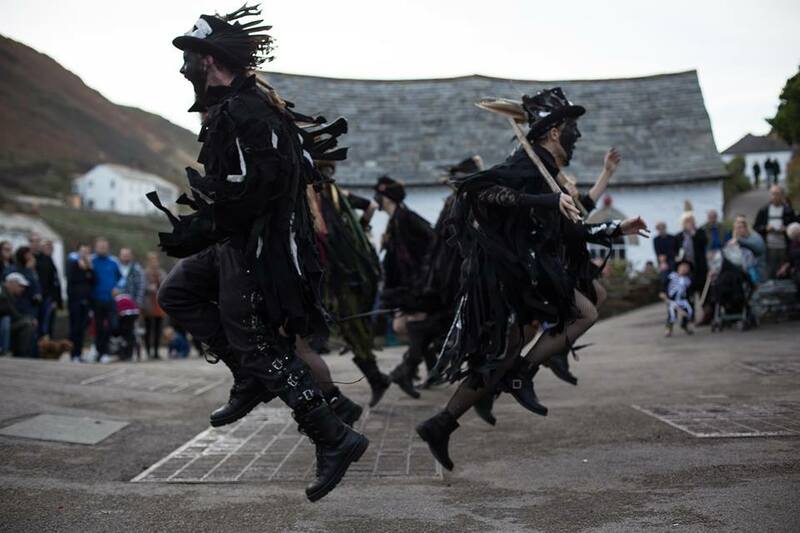 Indeed I have personally witnessed this with some of the dancers from Beltane Border Morris as they fly around the space – every now and then they can shapeshift momentarily. It quite magical and intensely fascinating! 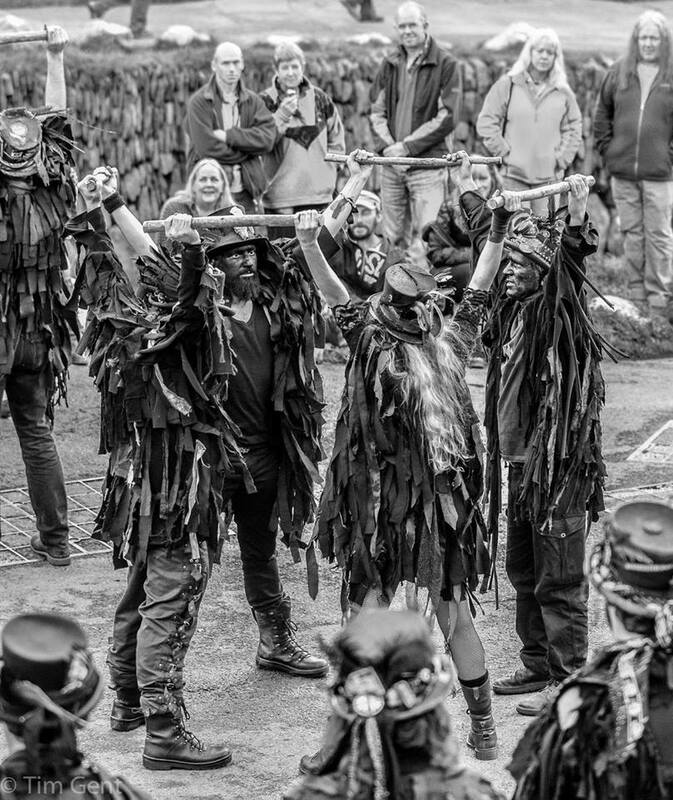 The role of Teazer is complex but in essence is to be a bridge betwixt the Oss and the crowd – to be able to travel and dance between those worlds. Just because I’m not as spry as I used to be doesn’t mean I can’t function in this way anymore. Sometimes moving very slowly can have just as much effect. I like having two Teazers. 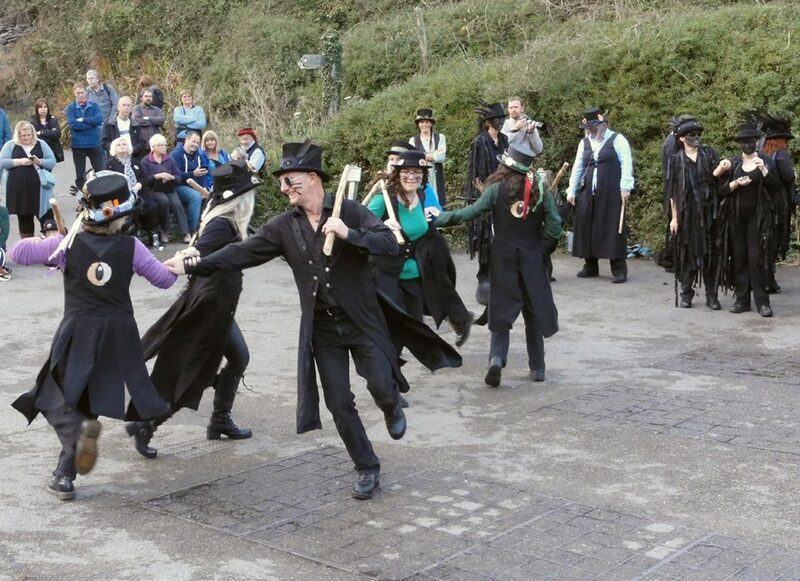 It makes sure that the needs of Penkevyll are being well attended to as well as dramatic energy raising dance being performed – and every now and then, the two forces meet – and there is a ‘frisson’. 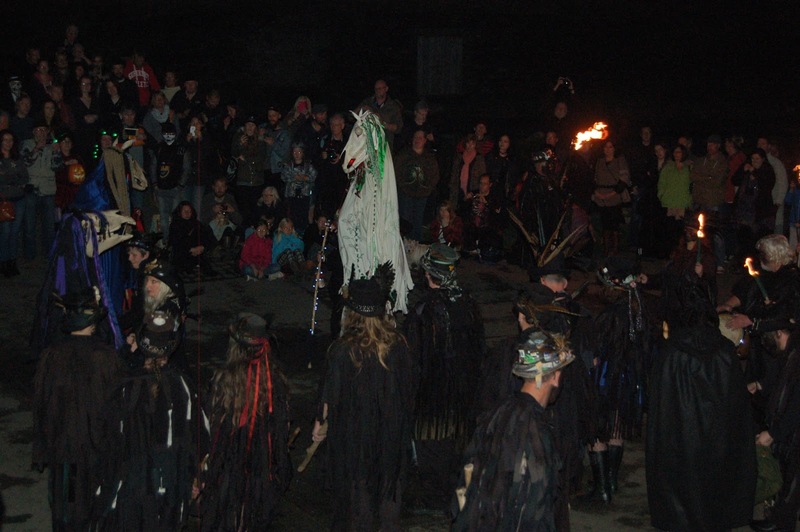 After some frolicking around and general mischief-making with Penkevyll we caught sight of the torches of the Procession approaching and it was time for Penkevyll to meet her bone sisters who she hadn’t seen for nine long months! Here’s the only bit of footage that I have found thus far of this year’s pwnco. Apologies to anyone of a nervous disposition as my singing is truly appalling and my Cornish not much better. Oh, and try ignore the very rude remark made by a member of the crowd at the beginning! Although the small organising team work over the year to bring about the All Hallows Gathering, it seems to go so quickly on the day. 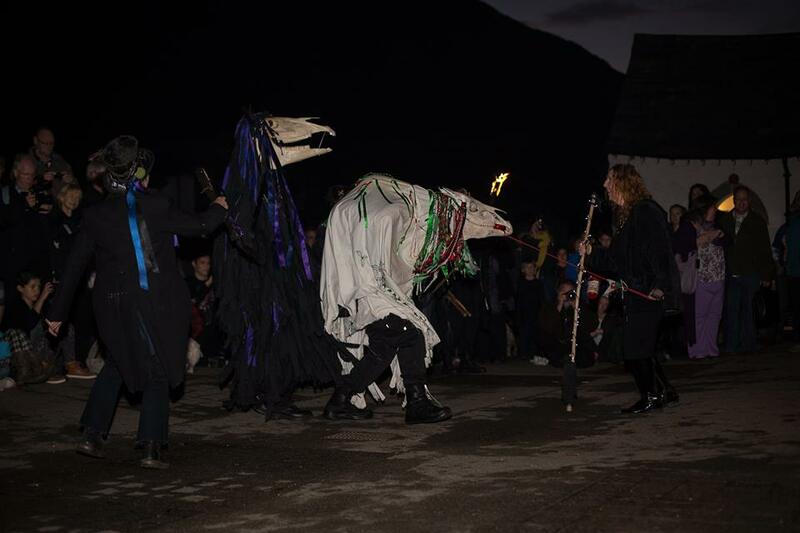 There was just enough time left to mingle with the crowd and performers in the torchlight and savour the atmospheric and heady mix of exuberant, wild dancing and feeling the old ancestral spirits of Halloween draw ever closer. At the Welly we had a great time and there were many things to be thankful for and to celebrate – but the main thing was that although there were a considerable amount of last minute obstacles and challenges, they were all successfully overcome. Finally a very special mention to the Hero of the Hour, Kevin Godley. This quiet, unassuming man truly saved the day when he stepped up to the challenge of taking on the role of Oss Rider of Penkevyll with no prior knowledge or experience of the role. 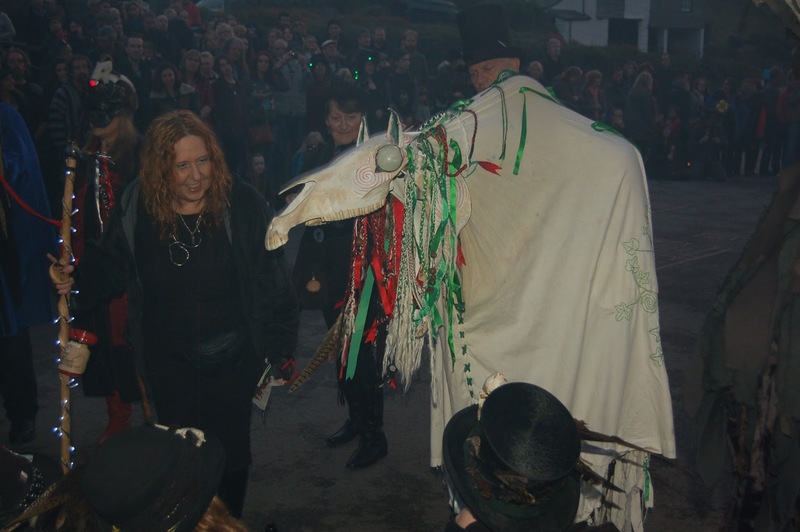 He has supported the All Hallows Gathering from day one and was present at our very first attempt at a happening in 2014. When he heard that we had been let down at the last moment and that Penkevyll would be unable to appear without a Rider, he didn’t hesitate in volunteering. By doing so he averted what could have been a major upset, which would have made a nonsense of everything we had arranged with the Mari Lwyds. I’ll just leave this post here with one last jewel in the crown – an amazing video commissioned by us and edited by a very talented young man, called Kieran. It’s taken of the whole event and lasts almost an hour, so make yourself comfortable with your favourite tipple and enjoy the fruits of all our labours… Ladies & Gentlemen, I give you the All Hallows Gathering 2016! Directly as a result of the past few years’ success and subsequent upsurge into the local economy, we have received two sources of funding for our event. Both businesses have given us generous sponsorship for which we gratefully thank them. 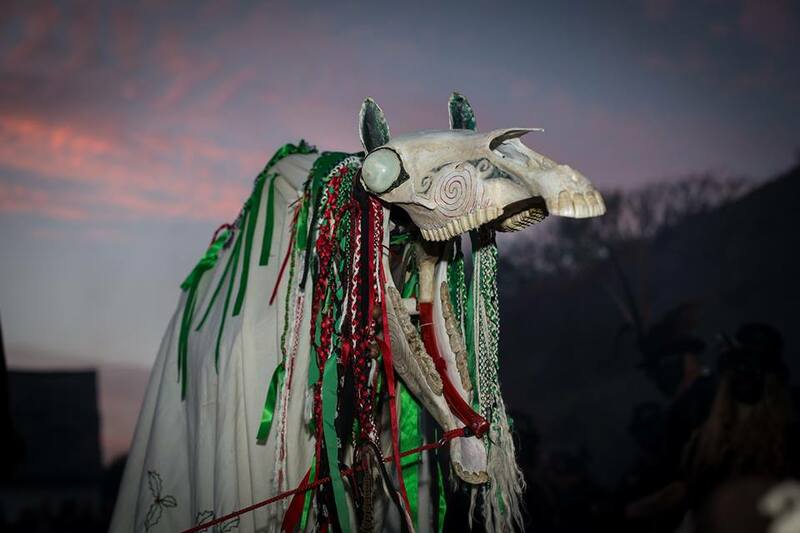 We have decided that we will welcome the Welsh Mari Lwyds with a Lantern Procession which will start at the main car park at around 5 pm and process accompanying the Maris down to the Museum. 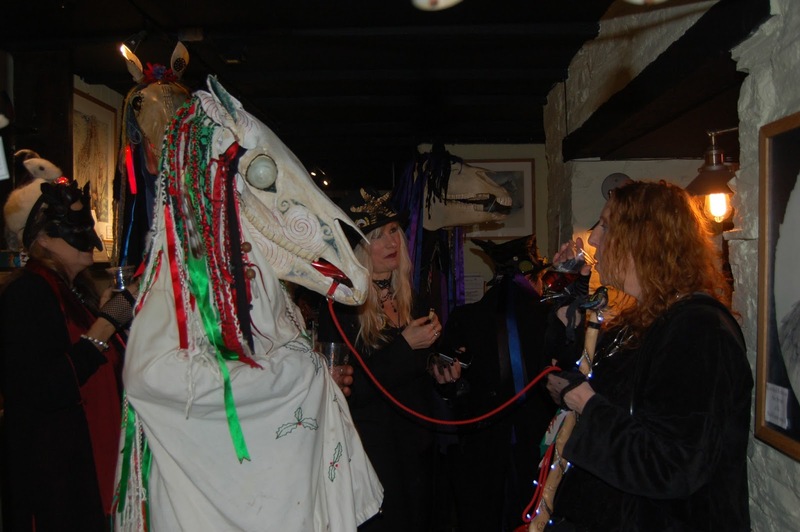 Bring your own lantern and dress up if you feel in the All Hallows mood! 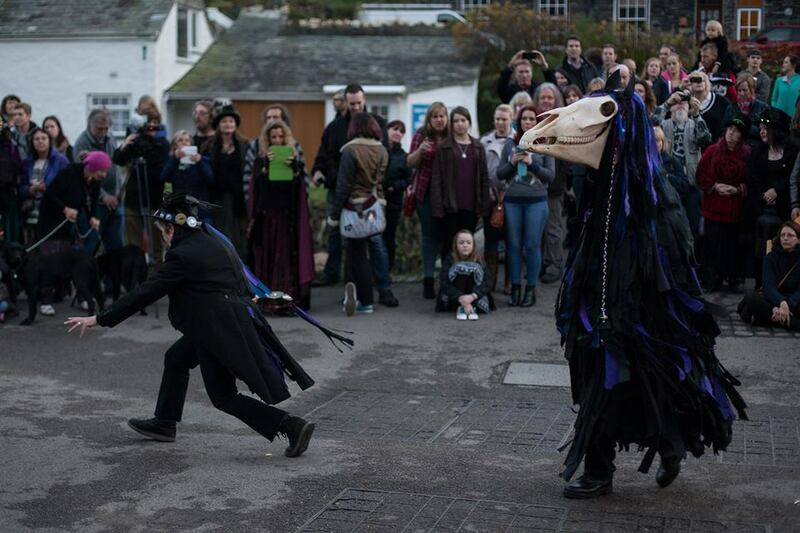 In the meantime back at the Museum, Penkevyll the Cornish Oss will be raising the energies to send a Call out to the Mari Lwyds to come and join our celebrations. This will involve lots of tribal drumming. If you wish to join us with your own drum at this point please do so. 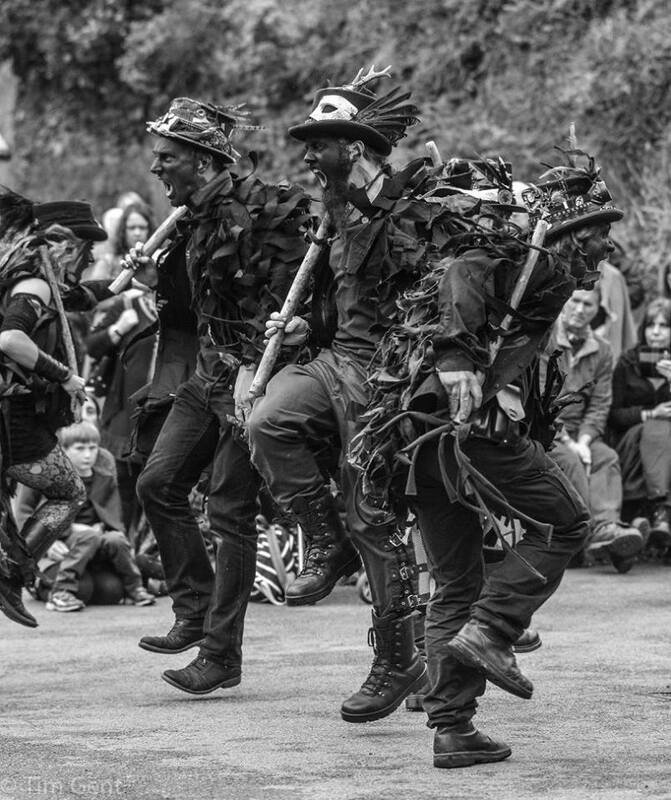 See you all at this year’s All Hallows Gathering!